Yes, the hips have muscles 🙂 Very important ones for skiing too! Weak hip muscles or muscular imbalances around the hips will transfer stress to the lower back when skiing, so this muscle group is an essential part of the solution to get back to pain free skiing. The same goes for the core muscles whose job it is to stabilize around the spine. If your core muscles are untrained and inactive – as they are for many people with seated jobs for example – they cannot do their job when skiing. 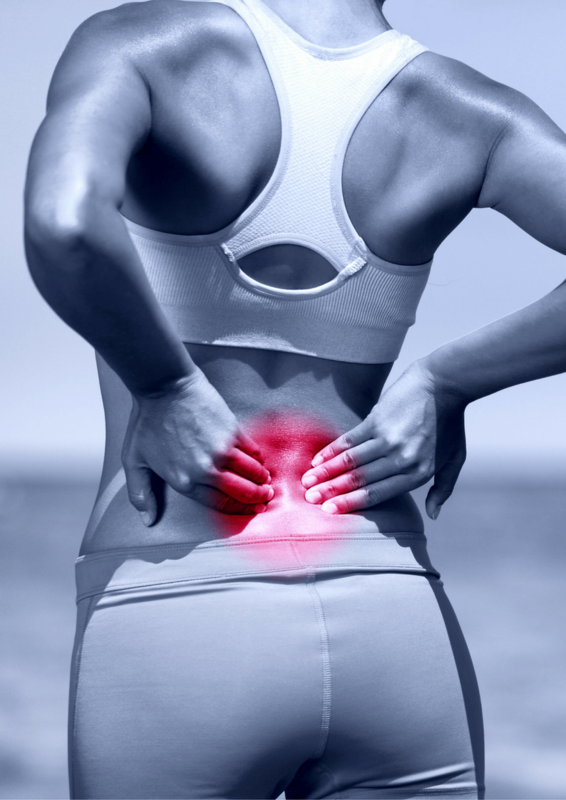 Your back will almost certainly get very sore and you will be more at risk of an injury. You can work the lower back by doing variations of hyperextensions, supermans and bridges. My training videos Get Fit To Hit The Slopes will be a good match for you to return to skiing pain free as it combines hip and core strengthening along with the leg exercises. There are also exercises you should avoid if you suffer from back pain, such as regular crunches or sit-ups.Those exercises place a lot of stress on the spine. -Besides, even though they work your abdominals, doing sit-ups doesn’t necessarily translate into those muscles recruiting in skiing situations. A plank is good but try also with more dynamic versions. Try instead with core exercises where you have to support your spine as when you are in a push up or plank position. Physically I feel a lot better, much more explosive. The training we do is very specific to my sport and very precise. As for my back, I have far less pain. I have made a lot of progress. While you want to low back stable and strong, it is important to work your hip mobility as well. Side to side and front and back. For skiers it is very common that tight muscles pull the lumbar spine slightly out of alignment which can cause terrible amounts of pain. If you are in unbearable pain, of course you should see a good physio or osteopath, but in most cases you can prevent soreness and worse problems with proper stretching. Here are some examples of muscles that are important to stretch. You can also get a free sheet with the most important stretches for skiing here. Want to know the "Top Stretches to Make You Ski Better" this season? Lie down on your back and grab your one leg at calf level. Pull it towards your chest in an extended position till you feel the stretch on the back side of the leg. You can flex your foot for even more effect and experiment with turning the lifted leg a little to feel where your are tightest. Take a big step forward, both feet pointing forward. From here bend the knee of the front leg while you keep the back one extended. Keep your chest up and tuck your tailbone in as your move your hips forward and feel the stretch in your hip flexors. I went through a long battle between back pain and skiing as a world cup moguls skier. I was in agonizing pain and regularly out of the game for weeks when my back would get stuck. I had been told from different sides that I should quit skiing after I herniated several discs in the lower back. To be honest, I was close to believing that it was probably my only choice, but luckily, I was not ready to accept it.